DOCJOINTS//DR SUJIT JOS//Total joint replacements with the best quality care at affordable price options at kochi, Ernakulam, Kerala, India / Knee, hip, shoulder, ankle, elbow replacement, Sports Medicine – Keyhole / Arthroscopy for Sports Injuries / cartilage preservation and cartilage regeneration techniques / minimally invasive subvastus / rotator cuff repair, biceps tenodesis, subscapularis repair, shoulder dislocation, bankart, Latarjet / Dr Sujith Jose is a renowned Orthopedic surgeon with vast experience in Joint replacement and satisfied patients from all around the world. Economical / budget knee done as special package price/ cartilage restoration, OATS, Ankle arthroscopy/ acl pcl mpfl meniscus repair/ wrist arthroscopy tennis elbow/ modular imported high quality operation theatre – Johnson & Johnson theatre with double lamina flow – The best care for your joint problems! - Get the best care for your Joint problems! 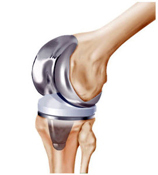 Get a new life by changing the lining of the knee joint. This is a safe procedure which can give you back the ability to do things which you used to love in earlier life. Don't let a hurting joint stop you! She gave you life. She cared for you, nurtured you, loved you, made you the person you are now. So when it comes to giving her something in return, doesn't your MOTHER deserve the very best? Don't let a hurting knee stop her! * “ I hereby thank the entire team of Dr Sujit Jos for the professional approach during my Knee replacement surgery for both the legs. Furthermore, my whole hearted thanks for the personal touch towards my early recovery which is well appreciated and commendable. I also wish to thank the entire nursing staff and other staffs of the hospital in working towards achieving the ultimate goal of ‘caring the patient’. Please continue the great work and appreciate the professionalism of entire team. ” - Mr Gopinathan M, Managar HR, ONGC, Western Region, Ankleshwar, Gujarat * The testimonials, statements, and opinions presented on our website are applicable to the individuals depicted. Results will vary and may not be representative of the experience of others.
" വളരെ അധികം നന്ദിയുണ്ട് ഡോക്ടർ സുജിത് ജോസിനോടും ടീമിനോടും. കാരണം എന്ടെ വലതു കൈ തീരെ പറ്റാത്ത ഒരവസ്ഥയിൽ ആയിരുന്നു ഞാൻ ഡോക്ടറെ വന്നു കാണുന്നത്. ഇതിനു മുൻപ് ഞാൻ ഒരുപാട് ഹോസ്പിറ്റൽ സന്ദർശിച്ചു. പക്ഷെ നല്ല ഒരു ട്രീറ്റ്മെന്റ് കിട്ടിയത് ഡോക്ടർ സുജിത്തിനെ കണ്ടതിനു ശേഷമാണ്. എന്റെ വലതു തോളിനകത്തു ഒരു മുഴ ഉണ്ടായിരുന്നു. അതു കൈ പോകാനുള്ള ഒരു ഞരമ്പിനെ അമർത്തിയിരുന്നതിനാലാണ് തോളിനു തളർച്ച ഉണ്ടായിരുന്നത്. ഡോക്ടർ കീ -ഹോൾ സര്ജറിയിലൂടെ അതു നീക്കം ചെയ്ത് എന്റെ കൈ പൂർണമായും സുഖപ്പെടുത്തിത്തന്നു. പഴയതു പോലെ ഇനി കൈ നല്ല ബലമുള്ളതായി. ഒരിക്കൽ കൂടി ഞാൻ ഡോക്ടർ സുജിത്തിനോടും ടീമിനോടും നന്ദി പറയുന്നു. " - Manaf Hussain MF, Mammala House, Palluruthy. * The testimonials, statements, and opinions presented on our website are applicable to the individuals depicted. Results will vary and may not be representative of the experience of others. On behalf of our family I would like to thank you for your kindly hospitality. Your full care of our mum during her knee replacement is highly appreciated My best regards to your family and I am sure they are proud of you always. I wish you all the best Doctor God bless you - Lt Saif Issa Said Aldaghari, Al Mabyla, Sultanate of Oman * The testimonials, statements, and opinions presented on our website are applicable to the individuals depicted. Results will vary and may not be representative of the experience of others.
" The overall experience in the Hospital was excellent. I was not able to stand properly or walk after a complication of a knee replacement surgery done at Bahrain. I was fortunate to have come to Kochi. The corrective surgery done by Dr Sujit Jos and his team has changed my life and activity. Now I am able to walk fast and climb stairs. He is friendly, compassionate and an excellent surgeon. I would strongly recommend anyone with a joint problem to meet this doctor." - Mrs Fatima Ahmed Abdulla Juma, Bahrain. * The testimonials, statements, and opinions presented on our website are applicable to the individuals depicted. Results will vary and may not be representative of the experience of others. Sign up for new posts, updates and newsletters. Dr Sujit Jos is a Consultant of Orthopaedics in the division of Joint Replacement and Sports Medicine with more than 15 years experience in the field. 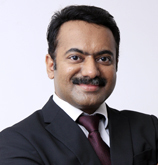 He has had trainings from the best Orthopedic centers in Europe, Far East and India. Rated among the top Joint Replacement and Sports Medicine surgeons of Kerala he has a track record of thousands of successful joint replacement and Arthroscopic surgeries in patients from India and abroad using the latest technology including Computer Navigation and Patient Specific Instrumentation for Joint replacement surgeries.